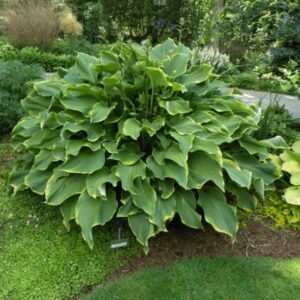 Med/Large: 23″ high by 48″ wide mound of bright gold foliage; leaves 11″ long by 8 3/4″ wide (15 vp); slight corrugation, and good substance; blade ovate in shape and sometimes cupped. 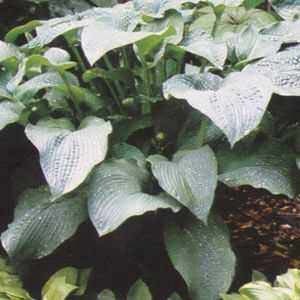 Abiqua Recluse’ Hosta gets it’s best coloring with some sun. 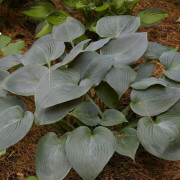 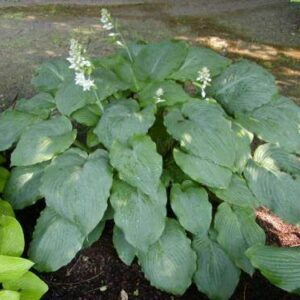 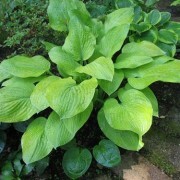 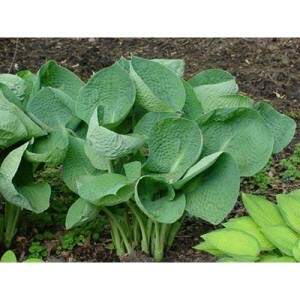 Medium large with heart shaped leaves that are glossy golden-yellow. 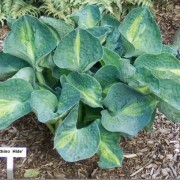 Very vigorous plant that has slight puckering and deeply impressed veins. 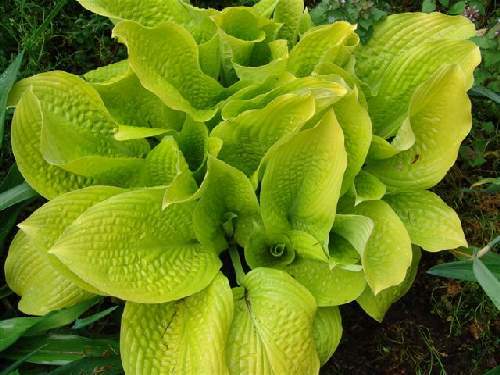 An outstanding gold! 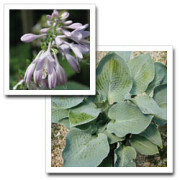 Flowers are pale violet in June/July.